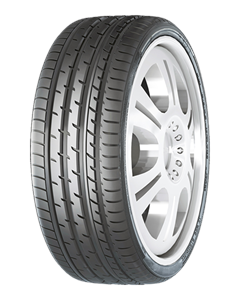 Outside strong blocks design enables the tyre to follow the road’s surface contours more closely, helps to reduce blocks deformation while speed cornering, and enhances steering precision & better grip. Inside wide rib grooves ensures effective water dispersion. Sequential blocks design improves tread rib hardness, enhances braking performance.